October, where have you gone?! This month has really flown by, and so, so much has happened – I officially became unemployed, I managed to survive an entire month self-hosted on my blog, and I actually started my shopping for the festive season! 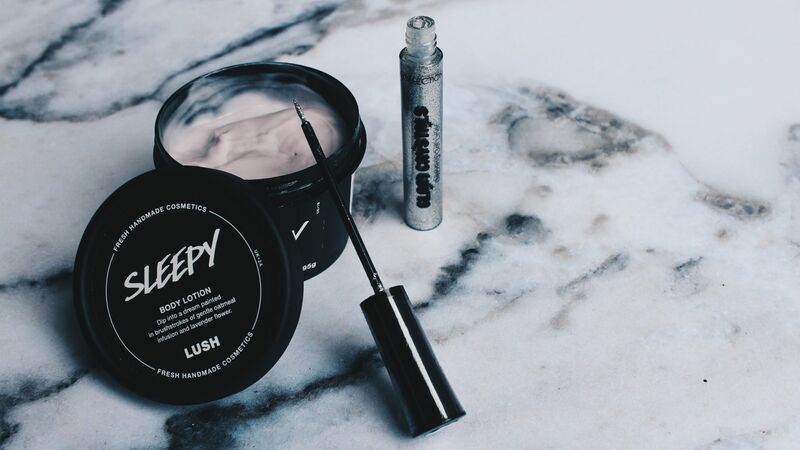 As this month has very quickly drawn to a close, I decided to do a little run down of products that I have loved this month.. While there are some girls out there that hate full coverage foundations, I could not live without it – the higher the coverage, the better! The Seventeen Stay Time Foundation is without a doubt my favourite, year in, year out.. 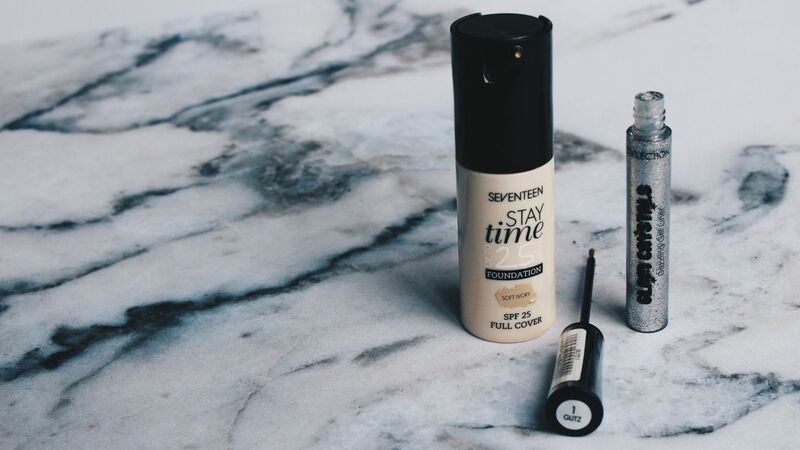 While it may not quite live up to the claim that it ‘stays put for up to twenty-five hours’, it does have incredible staying power that beats a lot of my more expensive foundations and ensures a flawless base that looks great throughout the day! One of my few complaints about this foundation is the shade range – ‘porcelain’ to ‘fair’ – as you may guess, ignores such a huge proportion of the population and is definitely something that needs improving, but as the sister of Casper The Friendly Ghost, I am covered.. I struggled so much to find a glitter glue for Halloween?! I wanted a product that kept my sparkle throughout the night but didn’t dry patchy and horrible, and that also wouldn’t break the bank because, self-confessed cheap-skate over here.. I picked up the Collection Glitter Eyeliner in Hustle – a simple, silver sparkle – in the hope of being able to make ‘something’ work for my makeup later that evening – last-minute shopping is stressful, to say the least! I swatched it on my hand in store, and was pleasantly surprised at the intense shine it produced! Not only did it later create a gorgeous sparkle, but it lasted throughout the night, intensifying my highlighter as well as keeping my lips glittering..
At the beginning of the month, I picked up the Pantene Micellar Shampoo and Conditioner, because I am obsessed with anything micellar at the moment. I will be the first to admit that I absolutely hated this combination when I first started using it – I don’t know whether it was the change in shampoo, or the fact that this claims to be ‘specially designed for prone to greasy, lifeless hair’, but I felt that my hair was so, so dry after I first finished washing it! I normally love how soft my hair feels after I finish conditioning, but I actually thought my hair felt more coarse after than it did before washing it.. I dried and straightened it, and the change?! I was actually shook – my hair looked shiny, and was super soft! I normally wash my hair every day, or end up a greasy mess, but can actually skip a day of washing with this combination of shampoo and conditioner, which saves so much time in the morning! Sleepy from Lush has been all over social media recently, and I just couldn’t resist. After reading so many reviews about this body lotion, and suffering from weeks of rough and interrupted sleep, I headed into my local store and decided to invest! 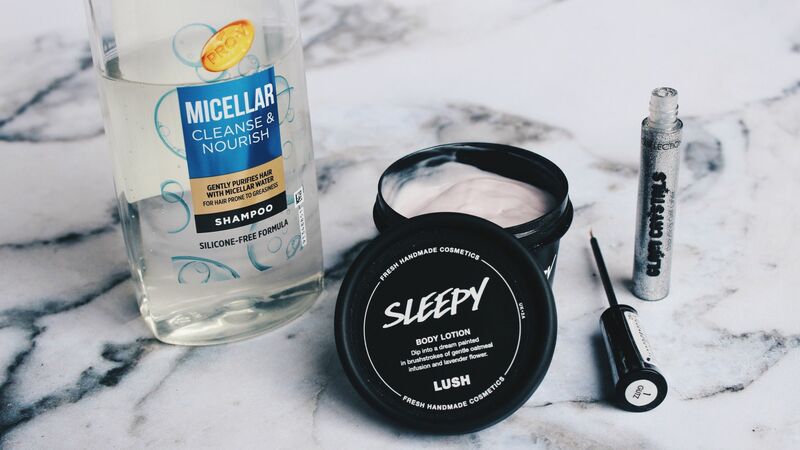 While it hasn’t solved my main issue – of sleeping through the night, and not waking up four or five times – it has helped me get to sleep so much quicker, and it’s definitely become part of my nighttime routine! Although I was a little concerned about the smell of lavender to begin with, it isn’t overpowering and tied in with the smell of oatmeal, it now conjures up thoughts of sleep, and I’m obsessed to say the least.. While I’m sad that October is over, because I am a huge Halloween fan, November is one of my favourite months of the year, and I’m super excited for what this month may hold! Christmas is nearly here, and I can’t wait to finish my shopping and start planning my wishlist..
What did you love throughout October? What’re your plans for November? "What I Could Binge Watch Over And Over – My Five Favourite Netflix Series’.."